The lodge is located along Florida’s St. Mary’s River. It sits at the crest of a hill on a large upland hammock tree plantation. 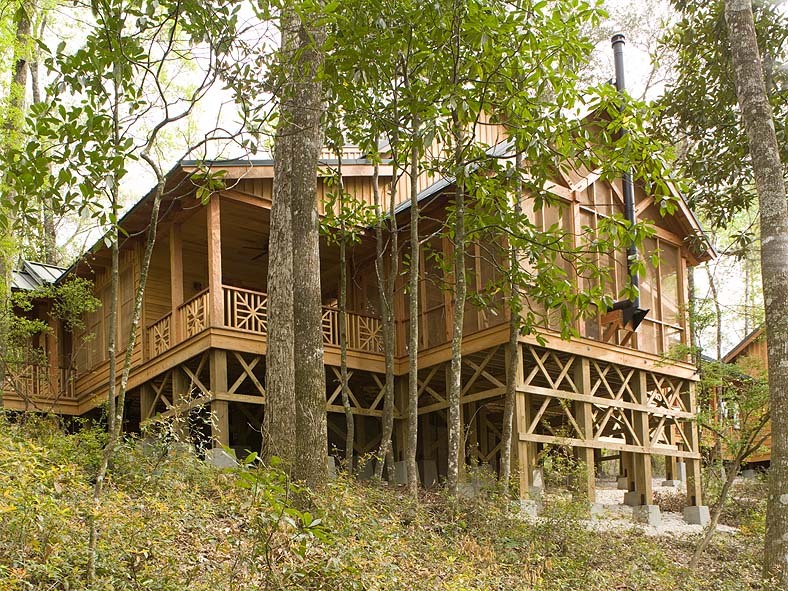 This woods camp serves as a family retreat to experience old Florida during hunting season. The lodge, guest house and pavilion reference the indigenous wood structures of the area through their design and use of materials. 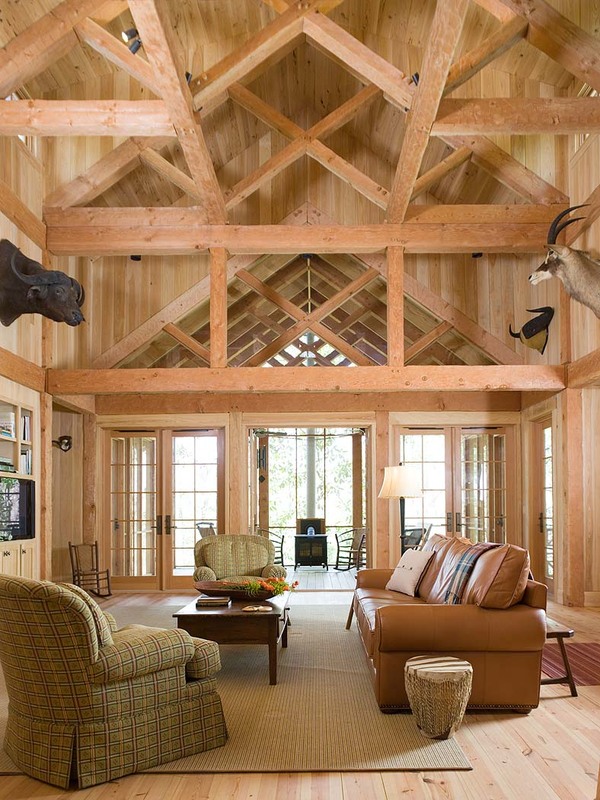 The hand-hewn Douglas Fir timber structural frame compliments the vertical grain cypress wallboards. 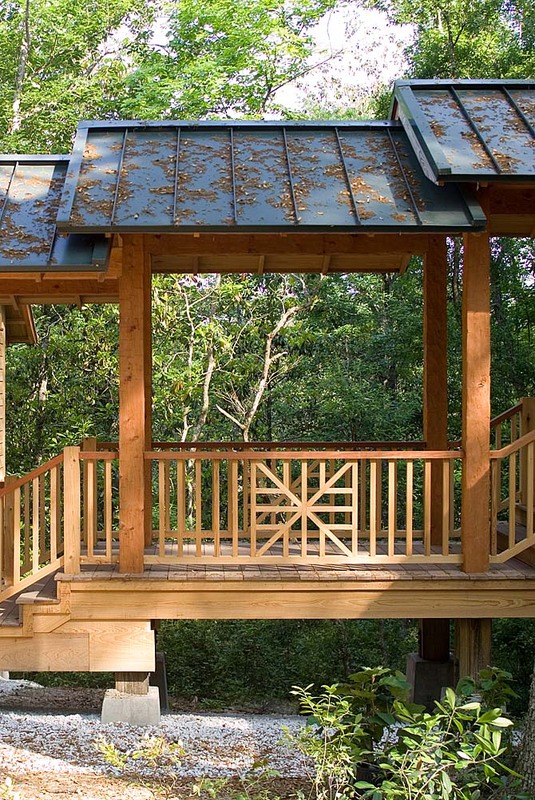 Elevated walkways and porches connect the separate buildings and provide views of the surrounding foliage and the river below. Upon entering the main lodge, one’s view is immediately drawn up into the exposed trussed roof structure that rises with the trees beyond. 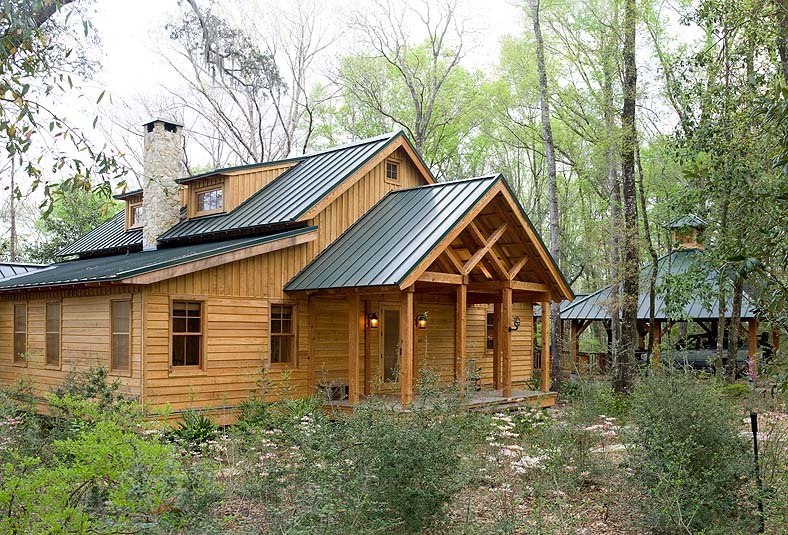 The design of the lodge has a timeless quality that engages Florida Vernacular Architecture by using local craftspeople still familiar with traditional methods of building for the construction. The connection of the buildings to the land provides the Owners with delightful spaces that fully engage the peacefulness of the site.